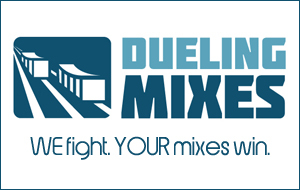 Recently someone emailed me asking what the “best” mixer was for his home studio. People get hung up on the fact that a recording studio needs a mixer, or a console. Back in the analog days, of course this was true. You needed some way to play back all those tracks from the tape machine. Nowadays, though, a lot of the big studios may still have a big console sitting in the control room, but there’s a good chance they’re mixing everything in the box and only using two channels on the entire console.